Here on Cape Cod, we like to change out our boxes seasonally. As our crocuses are just emerging from the ground and we still have a threat of frost until late May, the window boxes need to be planted with plants that can tolerate an evening chill and even a frost. 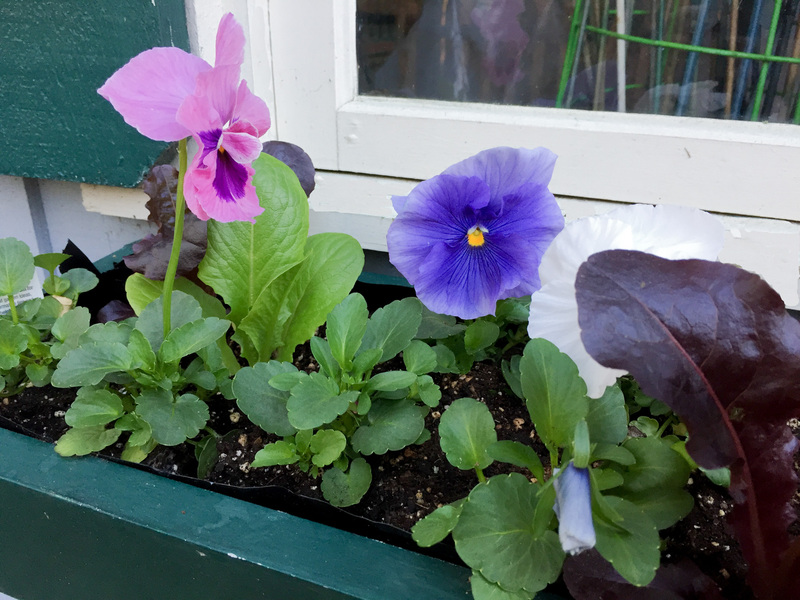 Some of my top spring plantings include pansies, miniature daffodils, tiny grape hyacinths, and yes- even some amazing multi-colored lettuces and kales. One of my favorite things is mixing edibles in with my window boxes. Sometimes, I like to add some clippings of pussywillow stems and forsythia for added interest. In the summer anything goes really. 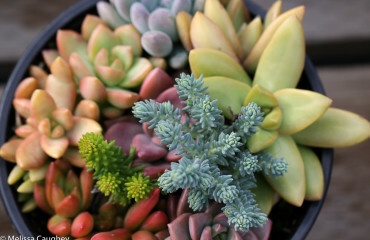 You can plant up boxes with succulents, herbs, annuals to your heart desires. Popular plantings include geranium, sweet potato vines, petunias, lobelia, verbena, coleus, even hydrangeas. As fall arrives, we plant our boxes up with ornamental cabbages, miniature grasses, coral bells and top them with some miniature pumpkins and gourds. A few sprigs of dried bittersweet adds a lovely touch. As winter arrives, I like to cut evergreen branches from my yard and tuck them into the boxes until spring arrives. These include firs, holly, spruces, Leyland Cypress, pine and then some cut birch branches for a touch of white. During the winter, these last all season long until the spring thaw and I start all over again. 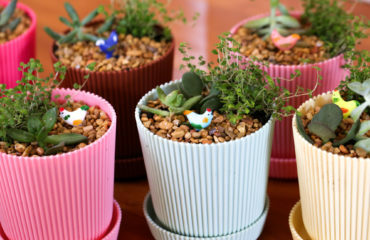 One fun designs idea for a box or container is to always include a spill, fill and a thrill. The spill includes trailing plantings such as vines, the thrill is a beautiful single specimen plant and the fill is everything else that is low lying but clumps enough in in the dead space. Remember you can save money by purchasing smaller plantings. With proper care, they will grow to full size in no time. Plus they’ll live longer too! 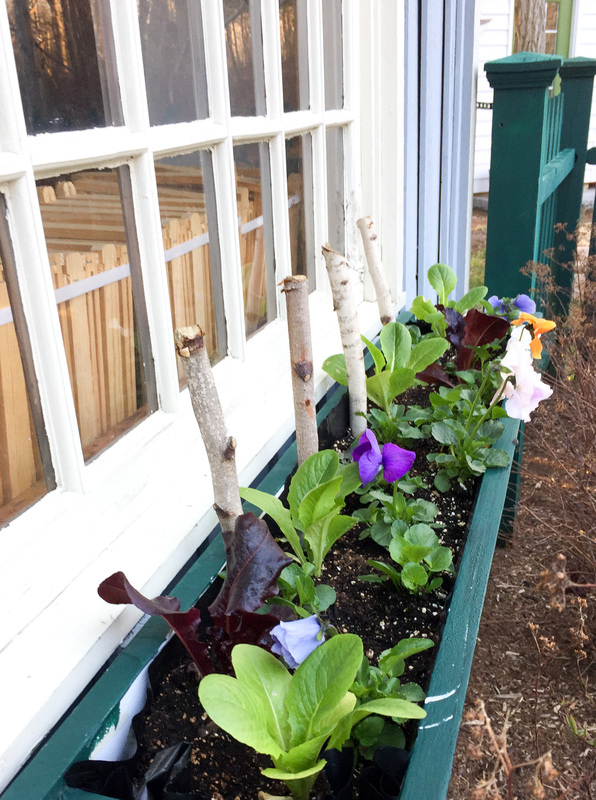 I chose smaller plantings and mix in edibles like these three varieties of lettuce among the pansies. Tuck in some birch branches for vertical interest. Window boxes are made from a variety of materials. Most are plastic and wood. When it comes to window boxes you get what you pay for. Make sure you chose a good quality plastic that will not fade in the bright sunlight or crack and become brittle in the freezing temperatures of winter. For wood, opt for cedar. It will last much longer than traditional pine and never use pressure treated wood if you will be consuming edible plantings from your window boxes. One of the ways I extend the life of the window boxes is with a layer of fresh paint that compliments the window. This is helpful if you purchase pine window boxes. If you like the look of natural wood try planting in a plastic liner with drainage holes designed to the dimensions of your box. If you can’t find a liner for your box, then it is simple enough to make one. Take a plastic black contractor bag. Cut off the bottom so you are left with a tube. Cut down the side and open up the bag into a rectangle. Place the bag on top of the empty window box and then push it down into the box. Cut drainage holes to meet the drainage holes that pre-exist in your window box. Next, while the plastic is pushed down into the box, add your soil and plantings. Then with a pair of scissors simply trim off the excess black plastic that remains it is no longer visible. Supporting your box is also important. Be sure to chose brackets that are large enough to hold a box filled with heavy soil and plantings after a rain or watering. Place the brackets so that the box overhangs the left and right brackets by a few inches. Anchor the brackets with large screws into wood or use anchors. If the box is at risk for tipping, simply add a longer screw to the back of the window box that will anchor it into the wall behind but also allows for easy removal and replacement during seasonal care. 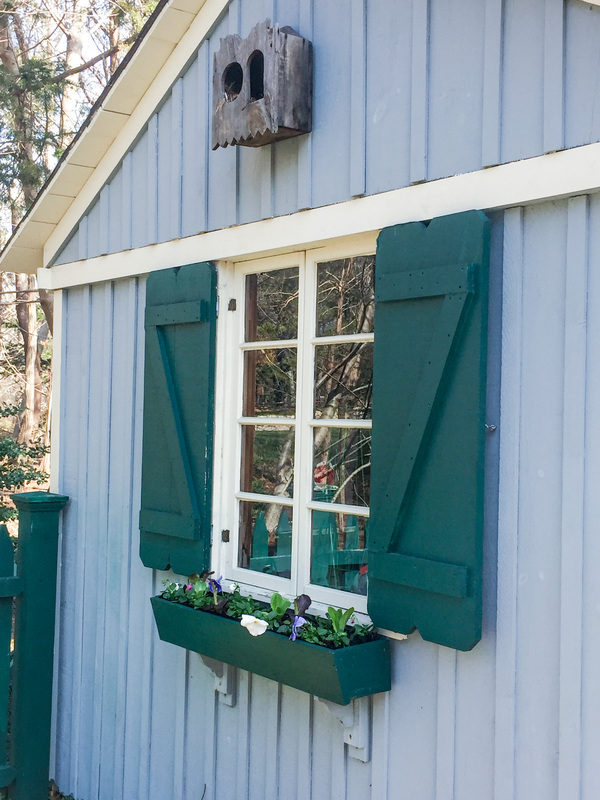 A newly planted window box on my garden shed, just in time for spring’s arrival. You are what you eat and that can’t be more important and true when it comes to plants. Once planted, they can’t grow legs and move to better food and soil or even sunlight. Once you’ve picked the right plants, soil is just as important. Chose a potting soil blend of high quality. Some are even amended with manure that will help to feed your plants to thrive. It is important that once your plants are planted that you regularly feed them fertilizer. I like to use an organic 5-3-3 mix. One of my faves is made by Espoma. Be sure to follow the packaging directions because over-feeding and under-feeding can be equally as bad. These soil recommendations also apply to container gardening as well. 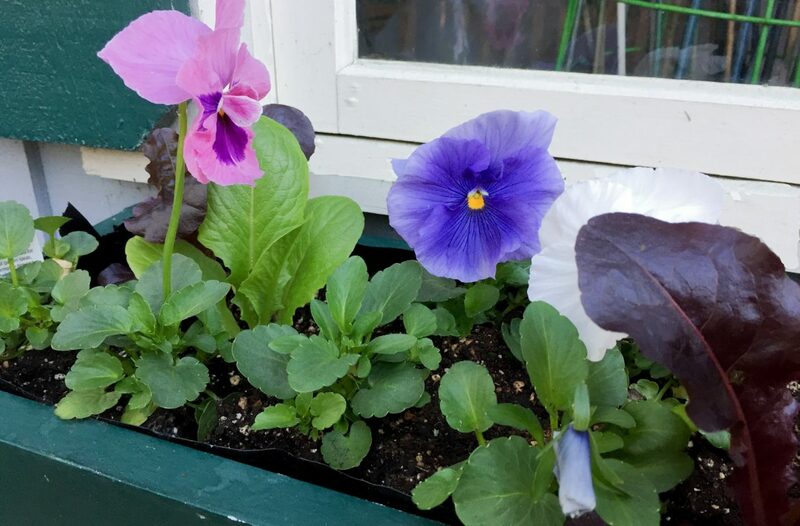 Now that you are off to a good start, tell me what you plan to fill your window boxes or containers with this year? I’d love to see a pic of what you create so be sure to tag me on social media. Happy Planting!